How to Use a Ring Mandrel. A ring mandrel is used by jewelers to size and shape jewelry. Shaped like a long thin rod that gradually becomes thicker, a ring mandrel is marked for each size of ring. Here are a few tips on how you can use a ring mandrel. Size the ring. Before you can properly shape a ring for someone, be sure that you know the size of their finger. If you do not, have them try on a sizing ring to get the proper fit. Notate the size. Shape the ring or piece of jewelry. Using your rawhide hammer, bend the jewelry around the appropriate size. Be sure to use swift even taps of the hammer to avoid denting the jewelry. Close the ring. 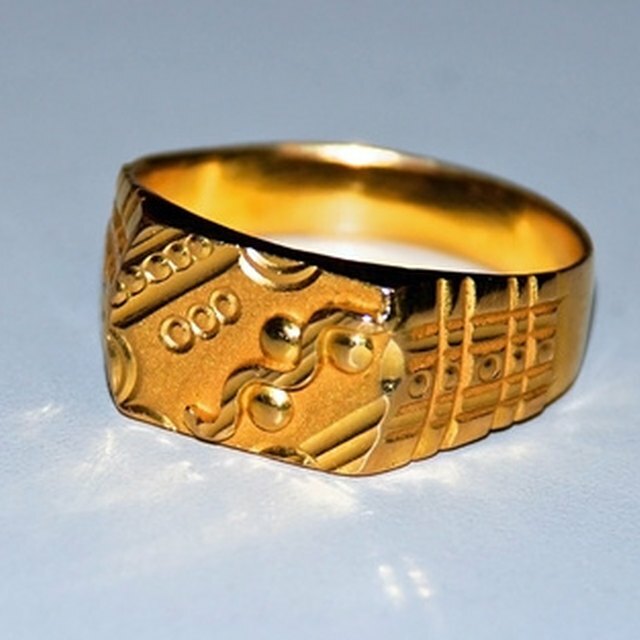 This can be done through soldering and smoothing the very edge where the ring closes. This process is different with different types of metals. Check the size of the ring. Slip the ring back on the ring mandrel to double check that your jewelry is the appropriate size. As it slides on, it should stick exactly at the size mark of the person for whom you are making the ring. Purchase sizing rings along with your jewelry mandrel. Since they are used in conjunction with one another, you might save some money.